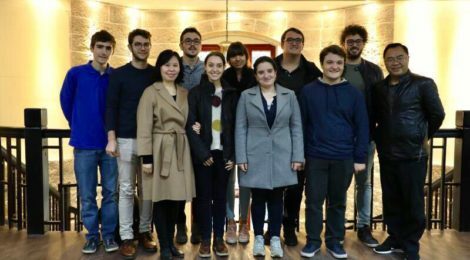 “Would you like to spend one month in China?” This was the question we were asked last February, when we had just begun our first-level Chinese course at Confucius Institute in Pisa. This is not a question you get every day, for sure. Now, after the 30-day experience in China, our feelings and experiences sound just as exciting as the question we were asked. China is definitely neither Italy nor Europe; it is not a country which can be understood with a western mind-set and that’s the reason why it has a lot to give to whoever gets in contact with it for the first time. And that’s what happened to us. We departed for China as a group of eight and we all managed to return safely, despite spicy food: two of us are studying engineering, two economics, two law, one political science and the last one biotechnology at Sant’Anna School of Advanced Studies. We all took part in this project because we were curious to deepen our study interests and we knew we had a unique opportunity to meet and talk to professors and students who come from a completely different context and cultural background. During our experience in China we touched many topics: ranging from new frontiers in robotics to economic analysis of IPRs and transition to clean energy, from drones to the comparison of legal systems, from international law to GMO research. During the first three weeks spent in Chongqing, thanks to the support from Galileo Galilei Italian Institute in Chongqing and Chongqing University, we combined Chinese language classes in the morning with visits to companies, local institutions and meetings with both professors and PhD students in the afternoon. This gave us the opportunity to meet many experts and institutional figures who provided us with an interpretive key to better understand the complexity of Chinese society. 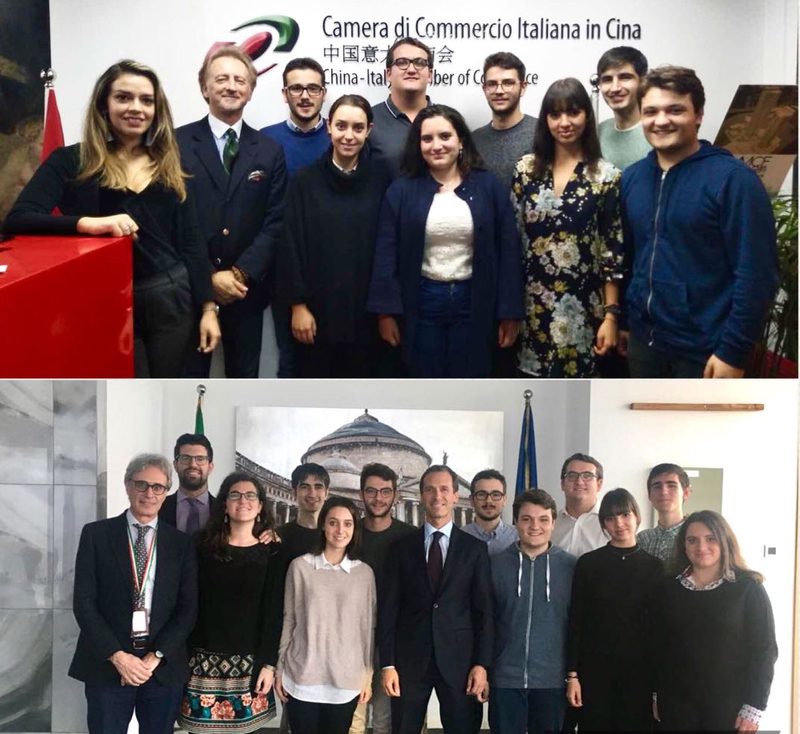 We had a meeting with Luca Dell’Anese, an Economics professor who teaches both in China and the US; we visited China-Italy Chamber of Commerce and we met with Italian Consul General in Chongqing Filippo Nicosia and Science and Technology Counsellor Lorenzo Gonzo. Moreover Law, Economics and Political Science students had the opportunity to deepen their study subjects visiting three prestigious law firms, with numerous branches around the world, that provide companies with legal assistance. In Beijing we were welcomed at the Italian Embassy, where we had the chance to talk with the Legal Attaché, Federico Antonelli as well as with the Scientific Attaché, Plinio Innocenzi, about Italian economic strategies in China and the “One Belt, One Road” Chinese project. 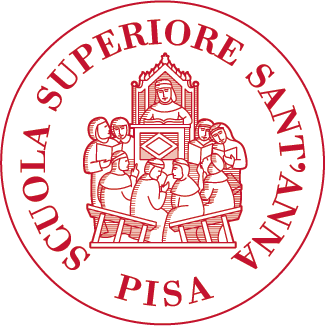 We were also joined by Professor Paolo Dario, director of the Biorobotics Institute of Sant’Anna School, who told us about his experience in China and in Asia with joint hi-tech laboratories. We would like here to share some impressions of China. Talking about technology in China, we didn’t expect its use to be so widespread in everyday life. It is present at any time in everyone’s life, from teenagers to elderly people, on the subway chatting with WeChat or watching a movie, at the supermarket or on taxis to pay thanks to AliPay and WeChat Pay and so on. Everywhere you can see QR codes which can be scanned to add friends, follow social media accounts, transfer money, download an app, visit a website, unlock a bike, etc. Furthermore the absence of big western tech companies like Google or Facebook has been filled quite well by their Chinese counterparts such as Baidu, Weibo, WeChat and Alibaba, which provide similar and sometimes even superior services. For example, using Baidu Maps we found out that it was even better than Google Maps in some aspects, providing suggested routes and audio guides for tourists, unfortunately only in Chinese. The Chinese approach to the Internet, with the (in)famous “Great Firewall of China” blocking most of foreign websites, can give a quick idea of the way Chinese lawmakers and economic planners have dealt successfully with development policies. Today China’s companies such as WeChat and Alibaba have enough capabilities and resources not only to provide valuable services to Chinese citizens, but also to be able to compete with their US counterparts on open markets. The Chinese government has provided these companies with protection thanks to the “Great Firewall”, technology and experienced personnel acquired part from the West and part thanks to high R&D spending, and funding through state-owned banks (which make up about 80% of the Chinese banking sector). This pattern of protection, technology acquisition and development, workforce training and credit by state-owned banks can be found in all those sectors that Chinese authorities have selected as vital to China’s economic development and future. Despite the effectiveness of these policies, China’s economic future faces challenges as well. The first is the banking sector: using banks to finance bold infrastructure projects and to divert resources into strategic sectors, such as the aforementioned ones, has caused massive credit misallocation. Despite multiple efforts by the government to decrease banks’ liabilities, speculative bubbles have started emerging in the Chinese stock market and real estate sector. Another big problem facing China’s economy is its production overcapacity and the subsequent over-reliance on exports. Most of the Chinese economic boom so far has been “supply-side”: productivity has grown faster than wages and GDP growth has relied on investment rather than consumption on a share larger than usual. As a consequence, China has become the biggest exporter in the world and boasts a massive trade surplus. This could cause trouble in the future, as the rest of the world is neither capable nor willing to absorb China’s overcapacity without limits and at its own expense. At this point the idea that the CCP is a stronger supporter of free trade than the American GOP should be less puzzling. China needs its trade partners at all costs, at least until the transition from an investment-based into a consumption-based economy is completed. However, despite these pressing issues, China’s economy stands as an example to the world of how an underdeveloped country can evolve into an economic superpower. In conclusion, we had the opportunity to get in touch with this amazing reality, which is still trying to find a way to combine tradition and innovation in environments like Beijing, Chongqing and provinces bigger than entire European countries. A country conscious of the fact that it has the biggest population on Earth and it’s trying to exploit this enormous economical, industrial and scientific potential to try to emerge as the leading power. Of course we have experienced also the negative aspects of China’s development model, they are not so difficult to be found, but still, as we all think and as we were many times said, whether one likes it or not, China has entered our everyday life long time ago and it will be more and more present in the future. So it is crucial to go visit this country and to try the Chinese way of living. This is why we do all think this is going to be one of the most important experiences in our lives, and even if sometimes we got to totally detest some aspects of China, we will never forget this month.